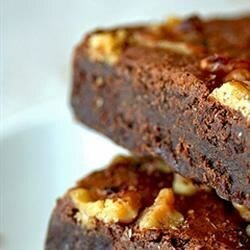 "Substitute carob for chocolate to get chewy and delicious brownies." See how to make amazing homemade brownies in less than an hour. absolutely amazing! came out very chewy and sweet, i needed to cook it for about 50 min thou and the carob colored the mouth black so don't eat to many :) but they taste very good and rich!